Select a quality "RG6" (or "RG6 Quad Shield" a.k.a. "RG6QS" for longer runs) coaxial (coax) cable for installation between the dish and each tuner. Since most Direct TV (DTV) DVRs and TiVOs have dual tuners, consider running two cables instead of just one. In the case of the DTV High Definition DVR or DTV High Definition TiVO, consider three cables if you wish to connect an "off air" antenna to receive local channels that are not available from DTV. If DVRs are not planned, installing one cable will supply a simple DTV receiver. More on this below. Install a ground block in a convenient location anywhere between the dish and prior to entering the home. It is permissible to locate the ground block inside the home, but it should be as close to the point of entry as possible. If unable to purchase a ground block to accept all inputs and outputs, it will be required to add additional ground blocks as needed to accommodate all the connections. Install a #10 copper wire between the house ground point (ground rod, electric meter, etc.) and the grounding terminal screw of the new ground block. These two points must be connected together. Use a clamp designed for the purpose to connect the #10 wire to the house's ground point. Do not under any circumstances disconnect or loosen existing ground connections to install the new #10 wire. Leave enough ground wire to "thread" through each ground block(s) ground terminal. Route the cable and secure with staples to the mounting surface. Securely tighten the ground terminal screw to the ground wire. Run coax cables from each of the dish's output terminals into one side of the ground block. Run a cable from any rooftop UHF/VHF/FM antenna (if desired) to the same side of the ground block as the dish coax. Run the same number of cables that were run into the ground block, between the ground block and a central location. A utility closet, a point near the telephone distribution block or electrical panel area is ideal. Label the coax cables "dish" or other meaningful manner. Be sure to label the coax from a roof top antenna if extended from the ground block. Run cables from each tuner to the central location. Affix labels to each of the cables - if two cables are connected to a single set top box, such as the case for a TiVO or DVR in a living room, label the cables "LR1" and the other "LR2" or some other meaningful term. Select a multiswitch by determining how many inputs and outputs are needed. The number of inputs equals the number of LNBs on the dish plus one. A dual LNB dish would require a three input multiswitch. The extra input is to mix in an "off air" antenna or CATV signal. The number of outputs of the multiswitch equals the number of tuners (not the number of receivers or set top boxes) in your system. A system of three set top boxes consisting of two DTV receivers and a DTV DVR or TiVO with two tuners would require a four output multiswitch. Of course, if you add another receiver later, you'll need a multiswitch that has additional outputs. Try to buy a multiswitch with enough extra outputs to allow your system to "grow". Cascadable multiswitches can be installed "down line" from other multiswitches, but must be identified for that use. Multiswitches become more expensive as the number of inputs and outputs increase. DTV will install as many as needed free of charge when they add or change equipment such as receivers or antennas. It's best to let DTV do this, but there is no reason why you can't if the cost is not an issue. Mount the multiswitch(es) and connect the dish coax cables to the dish input connector, and the antenna or Cable TV coax to the antenna input connector. Connect the coax cables from the receivers to the the multiswitch output connectors. Snug the connectors to "finger tight" for now. At the receiver end, connect coax cables(s) to each tuner input(s). The satellite cables connect to the satellite inputs - it does not matter which one. If you ran only one satellite cable, connect it to satellite input 1. If this is a location that will need an off air antenna input as well, instead of connecting a cable directly into the tuner, connect it to a "diplexer" input instead. The diplexer will have a diagram indicating satellite and UHF/VHF connections. The diplexer "satellite out" connects to the DTV receiver tuner, and the UHF/VHF can connect to the "antenna" or "CATV" input of the DTV set top box OR even an FM Stereo receiver. Check picture quality at each location. Change channels to test both tuners for TiVOs and DVRs. Alternatively, use the receiver's set up pages to view signal strengths of each satellite and tuner. Check connections and hardware until satisfied. Securely tighten the coax connectors along each cable where ever they appear with a wrench, starting at the TV, receiver, multiswitch and ending at the ground block or dish. Do not over-tighten. Connects to CATV TV/FM cable that enable you can plug it into the CATV TV/FM Antenna Wall Jack, RF Signal Amplifier and Antenna Booster, etc. 9.5mm TV jack with 4 claw clamps for TV coaxial aerial cables. Package Contents: 4 x 9.5mm TV RF PAL Connector Plugs. Lifetime Warranty. Silver Tone Plated Metal F-Type Female to TV Aerial Male Plug Adapter 90 degree right angle. 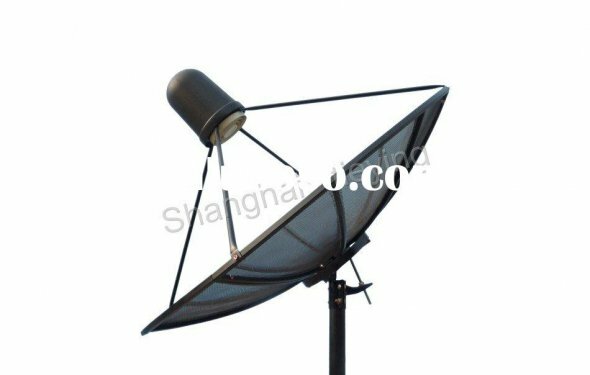 Great for TV antenna connecting use. Package Contents: 10 x F-Type Femle to TV Aerial Male Plug Adapter 90 degree right angle. Lifetime Warranty. Package Contents: 6 x TV F/F Coaxial Plugs. Lifetime Warranty. 9.5mm TV jack with screw cap solderless for TV coaxial aerial cables. Package Contents: 6 x 9.5mm TV RF PAL Connector Plugs. Lifetime Warranty.